Once you've swooned over Jessica Alba's shoe collection, take a deep breath, and then read on. Spring is upon us and summer will quickly follow, so my mind has been on sandals. This season, there are so many different styles to choose from, and, like most of you, I can't wait to add a few pairs to my ever-expanding collection of shoes. Thanks, Veronika! I like that there are so many colorful options this year. Thanks, Anna! I had fun picking them out! Wow! That collection of Jessica Alba is superb! Love to have colorful sandals for the incoming spring season, eh. @VanityofVanities I definitely got plenty of sandal-wearing time during the Texas summer, but I'm looking forward to transitioning to boots and tights for the fall. 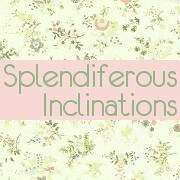 I'm personally a big fan of splendiferousinclinations blog. Thanks for sharing this post.